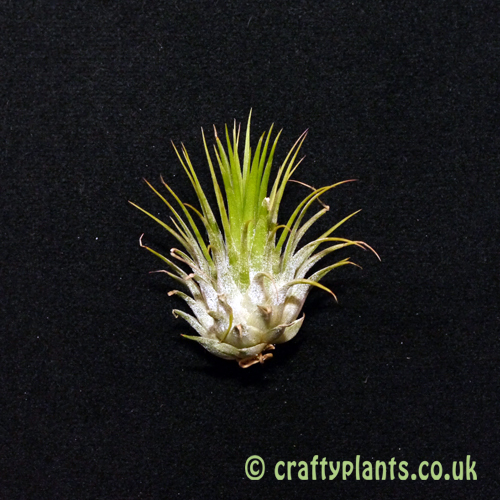 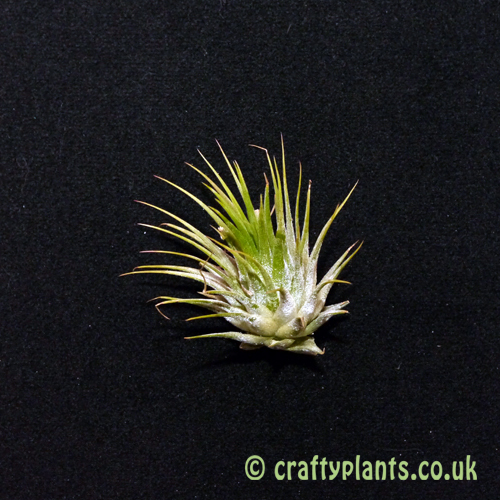 Tillandsia Ionantha Ionantha produces a dense rosette of green leaves which turn bright red around flowering time. 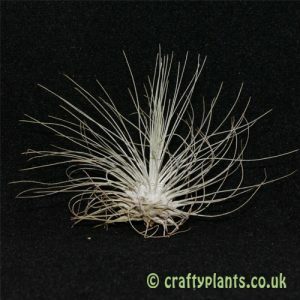 The small size of this airplant makes it perfect for windowsills where the plant can benefit from plenty of sunlight. 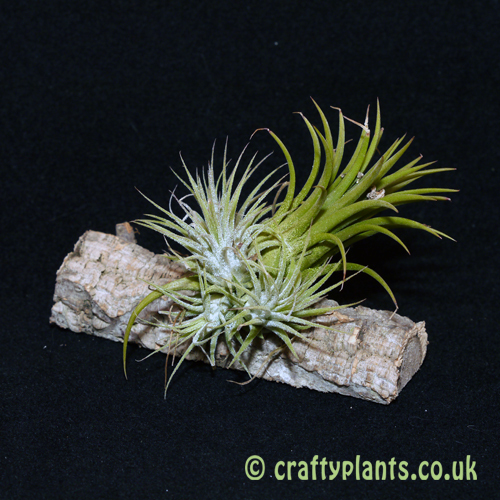 A great airplant for terrarium growing. 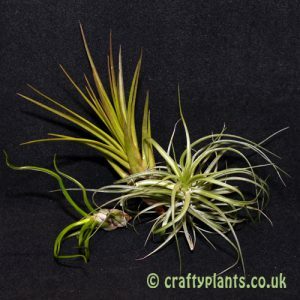 Its flowers are a neon violet which contrasts perfectly with the bright red leaves. 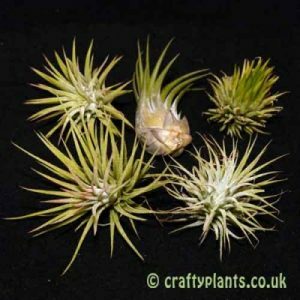 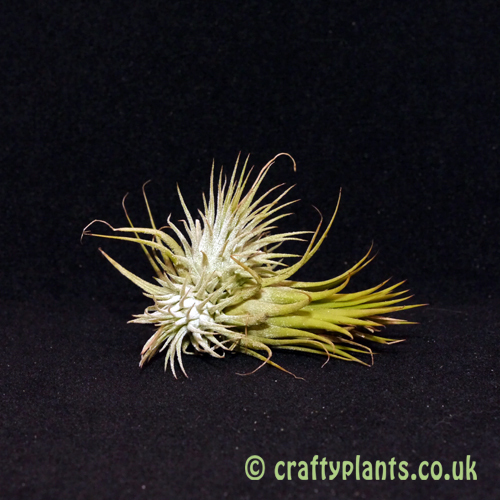 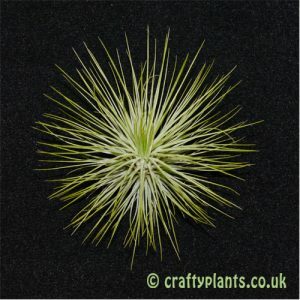 A great beginners airplant variety.